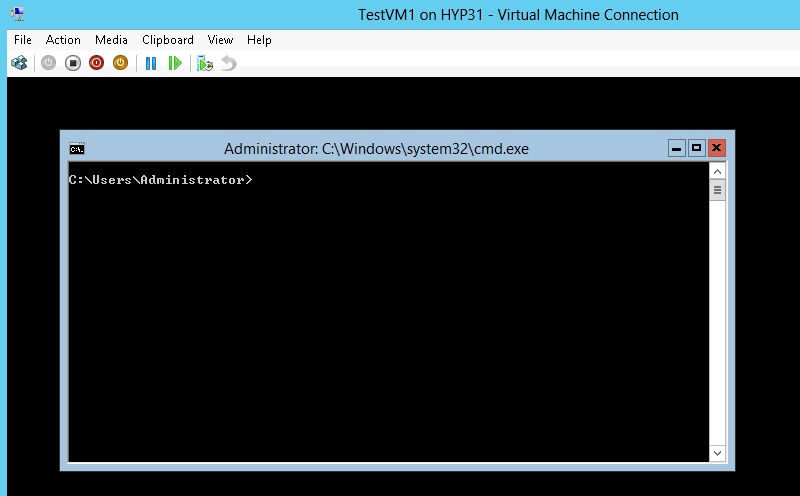 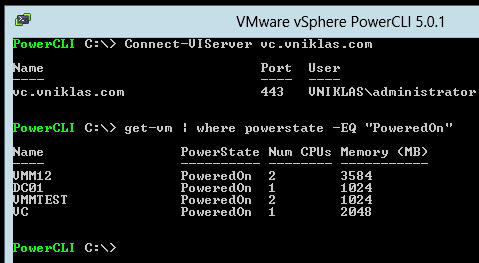 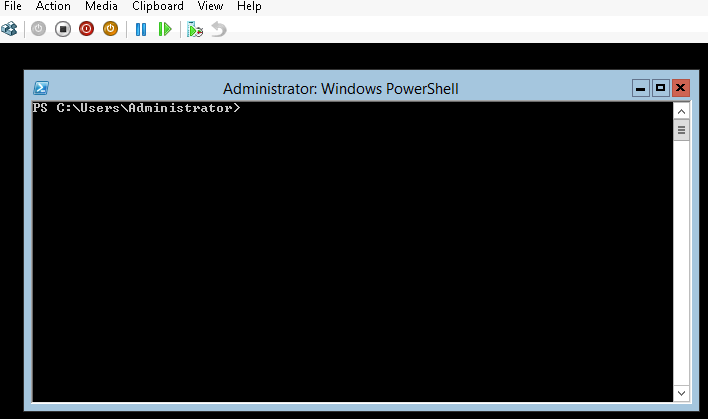 This friday I wrote a post about how to change from CMD to powershell and also found Thomas Lee´s posts about it. 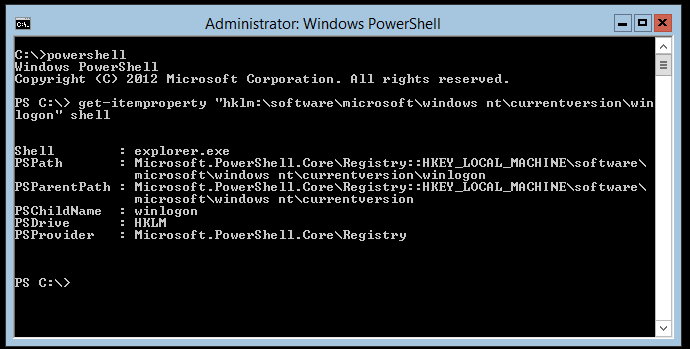 What i wrote in my post was that i found the registry key that holds the command prompt but could not alter it. 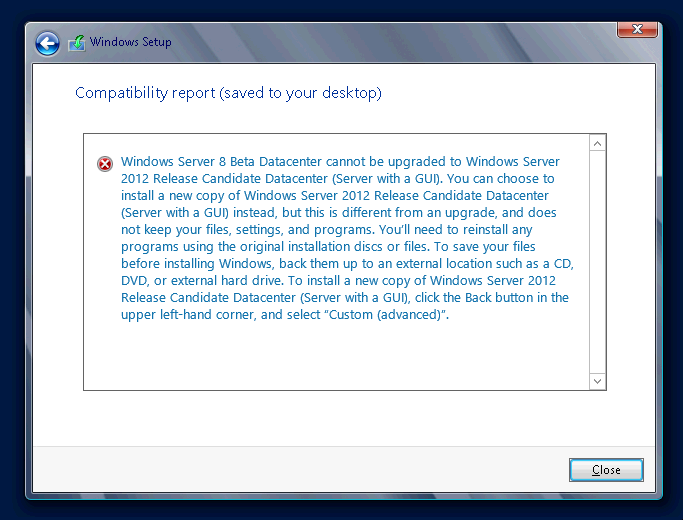 Andrew Morgan had already done all in his post, he also describes how you do, the secret is to take the ownership of the registry part (otherwise it is TrustedInstaller that is owner and that was why I could not change anything), after you change owner you also want to add some permissions, cause Administrator has only read by default. 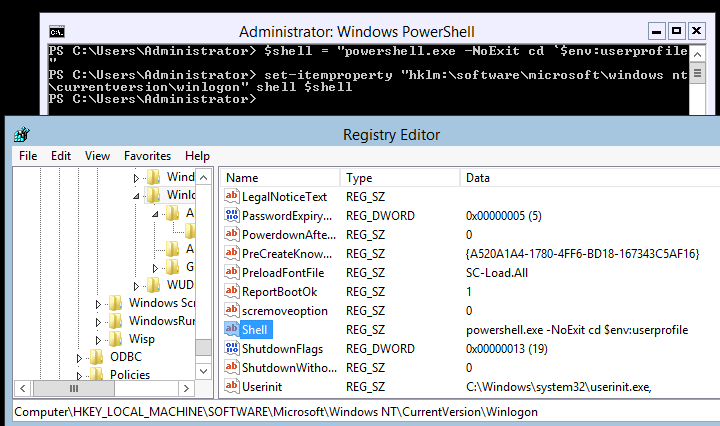 As you can see in the following screendump and in Andrew´s post, I keep the CMD and just set an new registry key that has a higher value, but not as high as Explorer. 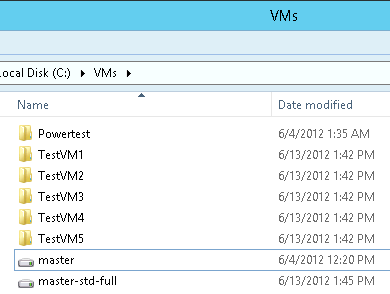 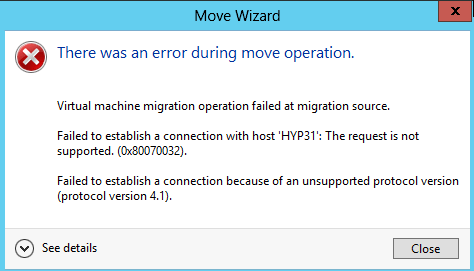 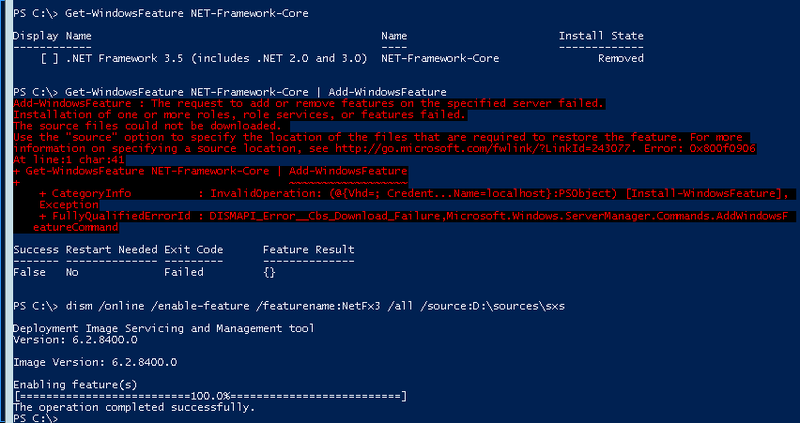 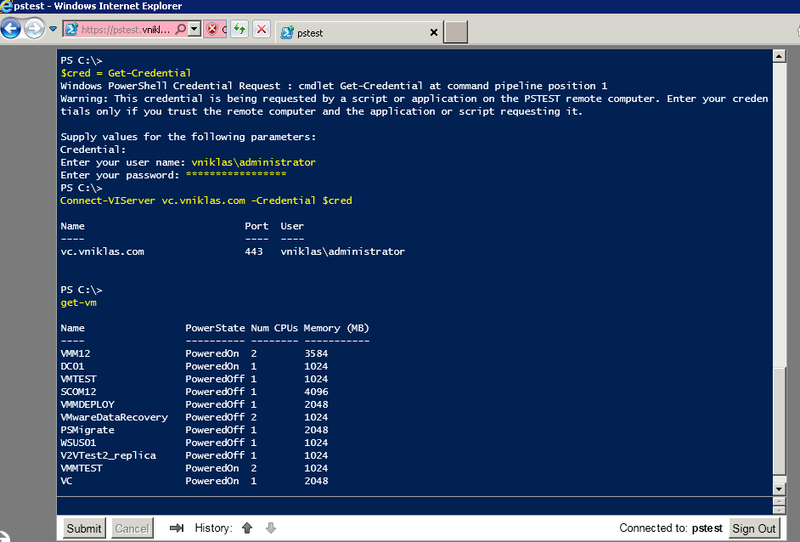 Doing this I get the Powershell console when in Core and the Explorer when in Full GUI mode. 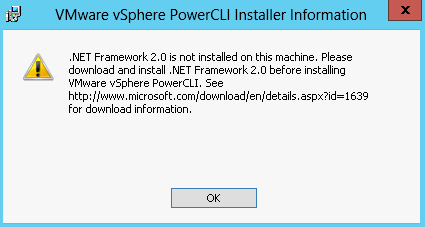 When in full GUI mode I get a temporary Pagefile error though 🙁 , the system seems to work correctly.. 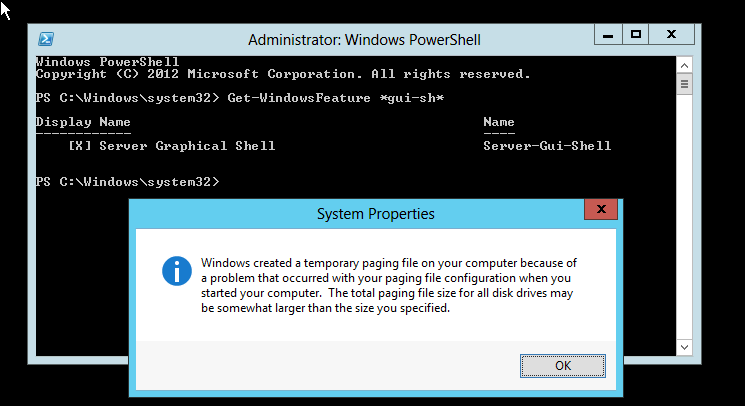 I have tested the Get-WindowsFeature *gui-shell* | Add-WindowsFeature on an installation where I have not done any alternation with the shells and there the page file dialog appears also so this is caused by another issue that I will investigate in another blog post. 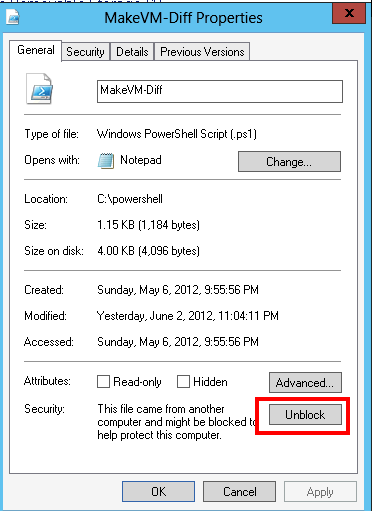 $shell = "Powershell.exe -NoExit cd <code>$env:userprofile"